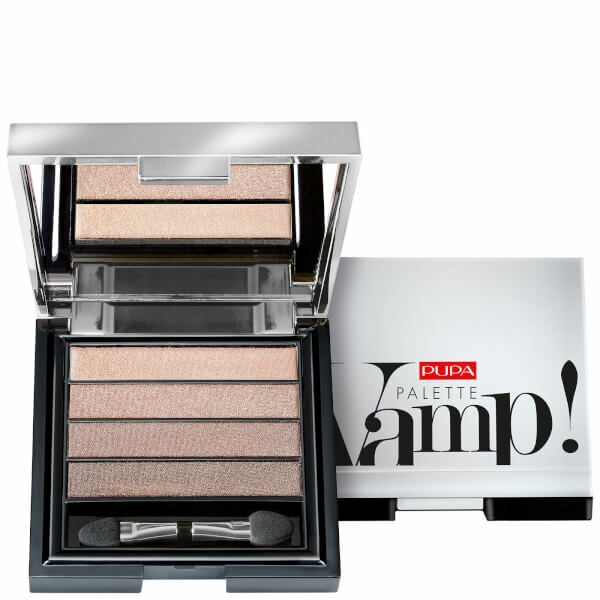 Sculpt and shape your peepers with the PUPA Vamp 4-Eyeshadow Palette, a quartet of complementary colours to instantly enhance your eyes. Formulated with a combination of spherical powders and lightweight oils for effortless blending, the eyeshadows glide onto lids for a creamy, comfortable texture and a striking chromatic effect. The warm-toned shades comprise demi-matte, satin and metallic finishes which can be worn alone for a wash of colour, or blended together for a stunning, multi-dimensional finish. The flat tip of the double applicator should be used for shading and the smaller tip should be used for defined and more precise applications.